For many, a walking safari is a life changing adventure, discovering Africa in minute detail through the knowledge of a guide. Walking safaris are the best way to discover the wilderness areas – a natural way to explore and really feel connected to the bush. You can reach some of the most inaccessible places, only reachable on foot, discovering wildlife and dramatic scenery. 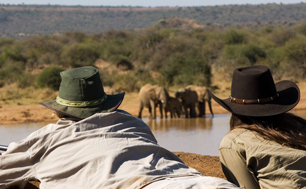 Walk from lodge to lodge or spend the night sleeping under canvas after a thrilling day’s exploring with a guide who will weave a hundred stories of what is happening on the ground or in the air – it doesn’t get any better than this. 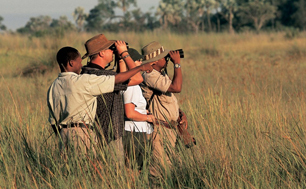 Zambia is the original home of walking safaris, dating back to 1960’s - still offers some of the best. Let us suggest a camp where walking is just one of the many activities on the menu. Anyone with a keen interest to get under the skin of Africa and closer to the bush. Depending on when you are planning, we can advise where best to go. Below is a rough guideline. They last anything from 3 - 10 days, making it very easy for us to weave it into your itinerary. Mana Pools, Zimbabwe - an old favourite, offering fantastic walking. Opt for a tented mobile camp on the banks of Zambezi. Camel Walking Safari, Kenya - remote, unspoilt and away from the masses. Big game & lots of cultural interaction. 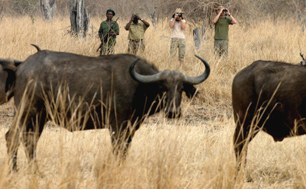 Zambia - combine a collection of intimate bush camps, spending a few days in each & walking between them.